Here at AUM, we are delighted to serve our community! We offer a variety of setups, full-service catering, state of the art audio-visual services and friendly customer support. 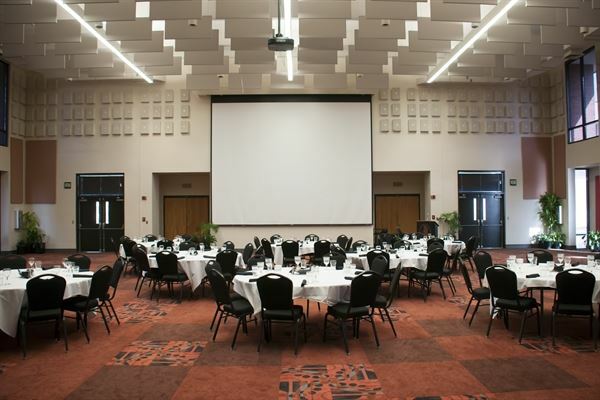 AUM is packed with multi-functional spaces conducive to almost any kind of meeting or event, including large multipurpose rooms, theater style classrooms, the gymnasium, expansive green spaces, and cozy outdoor venues. Guest housing is available on campus at great prices from January through July. Easy access to the interstate, multiple options for dining and shopping nearby and ample parking make AUM a smart choice. Call Sue McCarron in Conference Services for more information.